18 Watt Marshall Sytle 112 Combo!!! AKA the Mini-Bluesbreaker, this amp has got the plexi crunch tone to die for!!!! Don't be fooled by the 18 Watt spec. 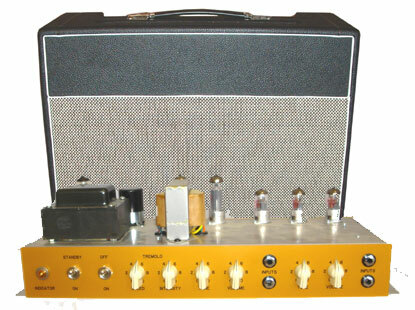 This amp amp can get loud enough for any medium sized room. It has two channels, one with Volume and Tone, and the second with Volume, Tone, Intensity (Tremolo), and Speed. 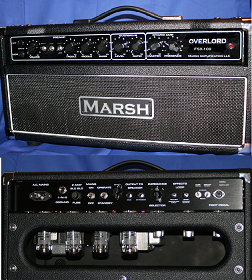 This 112 combo comes with a Marsh Amps OEMed British Blue H30 speaker which is modeled after the Celestion G12H!!! A two button footswitch controls Tremolo On/Off and Depth. Like all Marsh Amp Replicas, these are made to order and have a 4-6 week lead time..
Recieved this amp last week as a gift from my wife. It's ref ..